A country whose flag includes a golden cross is saying no to God more and more. 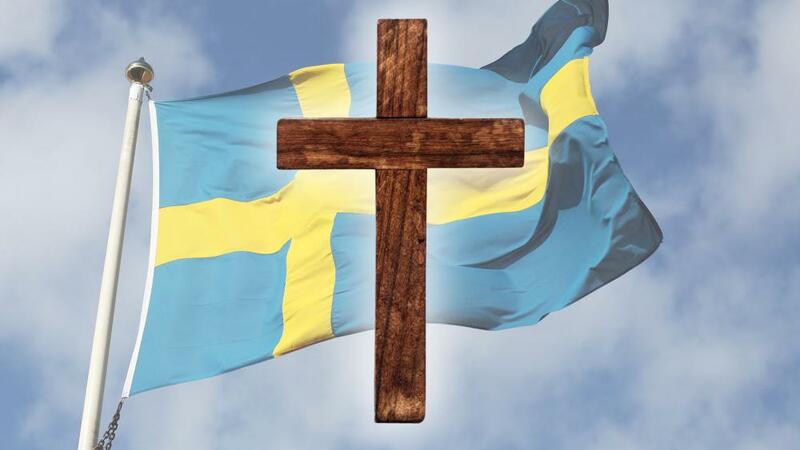 Swedish officials now admit they're taking intentional steps to limit expressions of religion. Recently, officials banned citizens from being able to register license plates having religious connotations. In an interview with Swedish news, Mikael Anderson, press officer for the Transport Agency, stated, "We deny any words that we believe can cause offense. Among other things we say no to everything that has any religious connotations no matter which connotations." The ban became public after a Christian's application to have the word "Kristus" (Christ) was rejected. The man had previously submitted a request for "Jesus" but it was rejected as well. But he's taking a peaceful approach to the situation, emphasizing, "As a Christian, you should not make war on those who make decisions in this country, instead we must pray for them." Sweden does allow citizens to request personalized number plates. However, there is a boundary set for what people can request. While this may seem like a minor issue, it's just the latest sign of Sweden's ongoing opposition to Christianity. In groundbreaking coverage in recent years, CBN News reported how Sweden is hostile to Christian asylum seekers. For example, Sweden chose to shield 150 ISIS fighters while simultaneously refusing to protect a Christian asylum seeker from Iran. The Swedish Migration Board also issued a deportation order against Pakistani Christian converts. This comes as more and more Swedes are rejecting faith in general. According to a report from St Mary's University, located in Twickenham, London, many individuals within the ages of 16-29 in Sweden are affiliating themselves with the "none" movement. "Nones" are individuals who do not affiliate themselves with any religion. The report highlights that 75 percent of that age group are "nones." If that trend holds, religious practices and beliefs by native Swedes may drastically decline over time. Across all of Europe, only the Czech Republic and Estonia have higher rates of "nones" compared to Sweden.